Even in the most developed countries, advocates still struggle to obtain civil rights and humane treatment for people with disabilities. Due to a lack of public funding and advocacy groups for individuals with special needs, countries like Russia and Ukraine do not have strong accessibility laws in place. As a result, wheelchair ramps are only available in a handful of places in major cities. Accessible public transportation and most other important adaptations are not available at all. This lack of support makes it almost impossible for children in wheelchairs to attend school, enter public buildings, and, later in life, get a job. Because of these limitations, many families with low income or substance abuse problems choose to give up children who are born with disabilities. There are over 20,000 children with physical disabilities living in Russian orphanages. Almost 95% are “social orphans,” abandoned by their parents at birth. Most Russian orphans who are in wheelchairs spend their entire childhood inside the walls of the orphanage. They have very limited life and social skills when they graduate from the system between the ages of 18 and 23, but still must leave the orphanage. Statistics show that within the first year of leaving the orphanage, over 50% of orphans are convicted of a crime, over 60% become addicted to drugs or alcohol, and 10% commit suicide. And that's just within the first year. At Big Dreams Children’s Foundation, we are committed to changing this future for as many children as we possibly can. 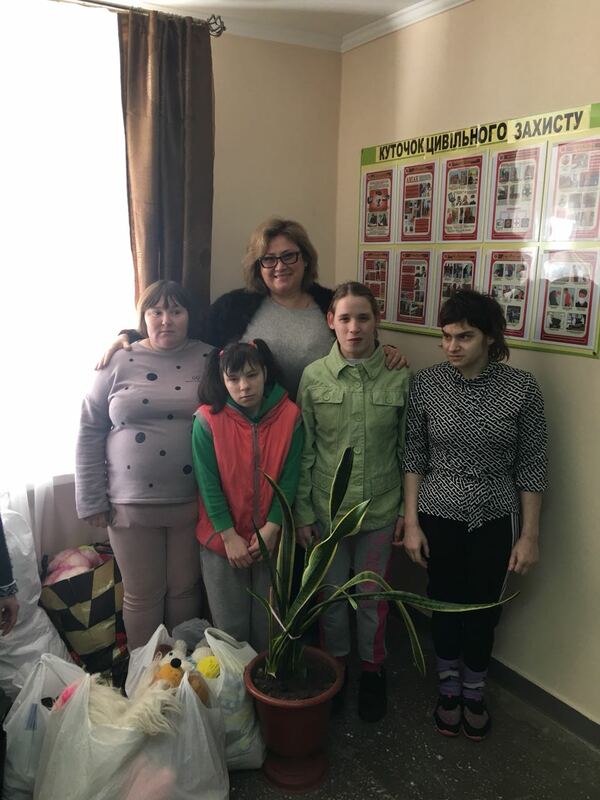 We have taken a few orphanages for children with physical disabilities in Russia and Ukraine under our wing, and we visit them on a regular basis. We lend our support by helping children who are capable get out of wheelchairs and walk, providing them with quality prosthetics, sponsoring educational trips, and most importantly, giving them the love and attention they deserve. Our partners in this ongoing mission are Project Orphan Outreach, an Ohio-based organization, and Texas Scottish Rite Hospital for Children in Dallas. Through this shared effort, we have already been able to change the fate of a few children (please see Completed Projects). We plan to continue helping orphans by pairing them with special programs that suit their individual needs and interests and provide them with quality prosthetics. In the future, we plan to open Assistance Centers near orphanages, where highly specialized professionals can teach kids invaluable skills for independent living outside the walls of the orphanage, after graduation. Centers will also host Vocational Education and Occupational Therapies, which will be tailored to each individual's specific disabilities. This skill building is key to their ability to support themselves and supplement their income. Each contribution helps us get one step closer to fulfilling much-needed services for individual orphans, and realizing our vision to build Assistance Centers. We are so grateful for every donation and sponsorship, and we hope that we can count on your support. Please click "Make a Donation" button to join our efforts to help make these children's difficult lives a little bit easier.